Pokemon characters are quite popular among kids. Anything based on these characters is loved by kids of all ages. Specially when it comes to games. Pokemon games let you play with your favorite characters. These games are quite colorful and kid friendly. The games are either about finding Pokemon characters and catching them or about fights between two characters. You can catch these Pokemon monsters and make a fantastic team of your own monsters. 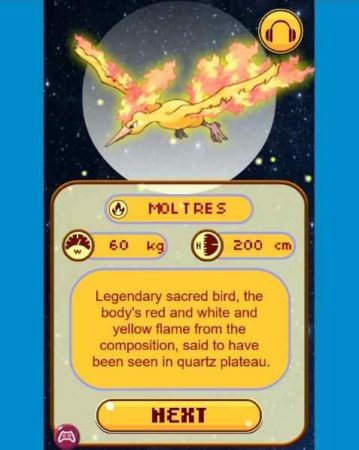 You can catch Pokemon monsters such as Pikachu, which seems to be everyone’s favorite. All the games listed here are free to download and play. Lets look at these free Windows 10 Pokemon game apps below. 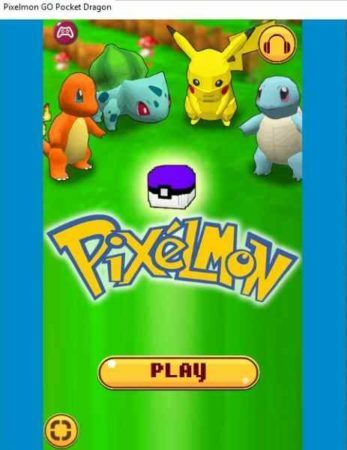 Pixelmon Go Pocket Dragon is a fun game app. In this game app you have to catch characters who have escaped from the laboratory and are roaming around freely. You will be given poke balls with which you can catch these Pixelmon characters. When you start the game you will see a screen like the one seen in the above screenshot. Click the play button to start the game. Upon starting the game you will get a gameplay screen like the one given below. You are roaming around in this garden shown in the image above. You have to walk around and look for the escaped pixelmon characters. The place where you will find a character will be pointed out. 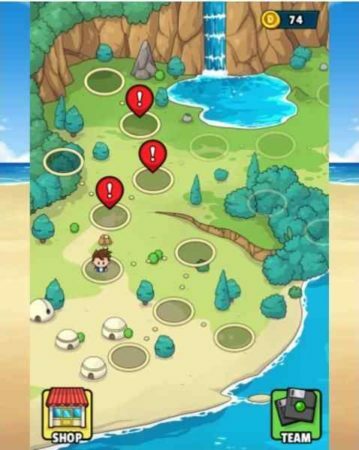 When you walk over the pointed location the Pokemon character will come out from hiding and will start running here and there at the top of the screen. 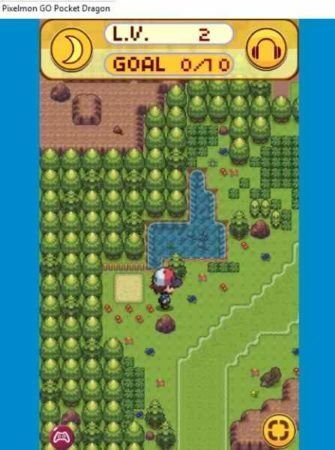 Now you will see a poke ball appear at the bottom of the screen. You have to drag the poke ball and hit the Pokemon character with it to catch the character in the ball. Once you catch the character, you will see a message like the one shown above. Then you move on to catch the next character. Each level will have different number of characters to catch. Like you have to catch 5 characters in level one, 10 in level two, and so on. Monster Legends RPG is a nice Pokemon game app for Windows 10. When you start this game you will see a map and will also get a virtual guide who will tell you how to go about the game. The virtual guide will tell you how to play one game and then appears from time to time to help you out. You will have to choose a dynamon. Dynamon is what characters are called in the game. You will be given three choices and you have to choose one to start playing with. Now on the map there are places marked in red color where the fights are. You have to go to a fight and have a battle with another character. Like can be seen in the screenshot below. If you win you will get coins which you can use to buy other items in the game. While in a fight you have the option to add your weak opponent to your team by catching them in a disk. At the bottom of the screen you will be shown various ways that you can attack your opponent. You can also change a player in middle of the battle and choose another one from your team. These are the two Pokemon games that you can find in the Windows 10 store. There are a lot of other games in the store as well, but they are a copy of these two games with minor to no differences. 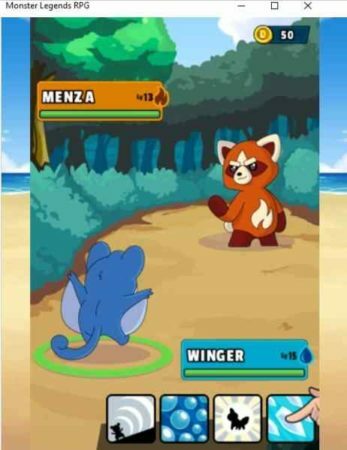 These two Pokemon games are real fun and you will have a great time playing them. Try them out.